Never before have human beings had as many choices as those presented in our modern society. The train, the steam ship, the automobile, and the airplane have made travel accessible to the masses. With mobility come broader perspectives and new choices: You can live anywhere, choose any career, meet anyone. Today you can pack up and move to New York, Chicago, Orlando, Kansas City, or a farm in Montana. You can learn to sail, write a book, produce a movie, adopt a child. We yearn for the excitement of the new challenge and play with the fantasies of what might be, what could be, if we would just go for it. Pick anything. Make a list of possibilities that interest you and just pick one. Then go for it. You might not write a book today, but you can write a page. You might not be ready to sail around the world, but you can take a sailing lesson. Dream of stardom? Audition for the local community theater. Take a step in a new direction. You don’t have to make the right choice, just make a new choice. Get in the habit of choosing your life. Not choosing is a choice to choose what you’ve already chosen. Do you go to your high school reunions? I went to my 50th last October and it was spectacular. What a blast!! Lowell High School in Whittier, CA 50th class reunion for the class of ’66. We invited all the other years, too, so we had people from ’63-’81. 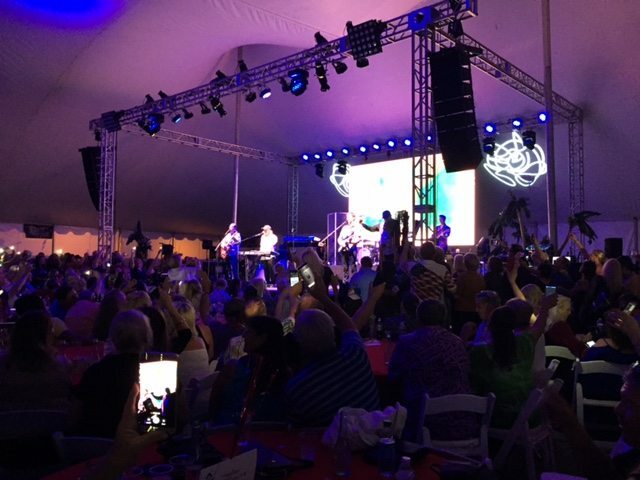 1,000 people in a big beautiful tent on the old school campus (which became a chiropractic college afterward), and the Beach Boys came and played their hearts out for nearly 2 hours, and Dean Torrance of Jan & Dean, too. It was awesome!! Oh, the dreams and aspirations of those long-ago teenagers! We grew up with “Leave it to Beaver”, “Father Knows Best”, and “The Donna Reed Show” and we thought everyone had families and lives like that. We lived and laughed and loved, made it through Kennedy’s assassination, the Vietnam war, saw the rise of feminism and the civil rights movement. Some stayed in Whittier and other spread across the country. Some died young, and lived again in our memories on this special night. Some had children whose children now have children. There is more life behind us than in front of us, but Lowell spirit lives on. Should you go to yours? I say a resounding “Yes!” It’s not something you can do next month if you feel more in the mood. Just go and see what happens. It might be amazing! And it’s been my experience that only the happy people show up, so it’s brimming with smiles and stories and reminiscences. Enjoy remembering your life!